Lunch, Monday to Friday from 11am. Dinner, Monday to Sunday from 4:30pm. Brunch, Saturday and Sunday from 10am. Paid parking is available on the street during the day and no charge after 6pm. Free street parking on Sundays. Heated underground parking at Eau Claire Market for a $5 flat rate evenings and weekends. Enjoy an exclusive cocktail party or dinner in your home presented and prepared by River Café. Our accomplished culinary team will prepare an exquisite menu tailored specifically to your event, executed by our professional service team. Experience a culinary journey presented with the elegance, beauty, and professional service. You and your guests can relax while we look after all of the details. An extraordinary dining experience is to embark on a journey. We have created a beautiful place in an extraordinary setting and have tended to the details that make you feel at home: staff who care, chefs who are passionate about quality and the regional seasonal ingredients that bring to your palate a taste of place. 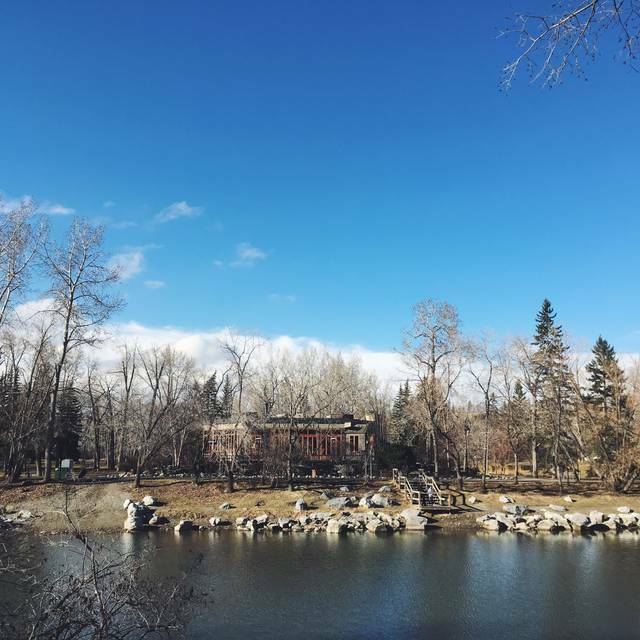 We are located in the middle of Prince's Island Park and we are accessed on foot via one of four bridges or causeways. 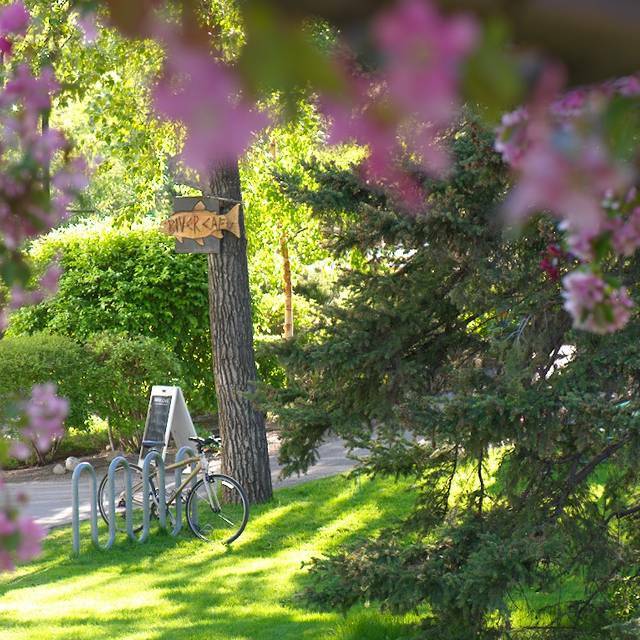 Parking is available on the street in the Eau Claire area, underground at Eau Claire Market for a flat fee of $5 on weekends and evenings, or across from Memorial Drive. We look forward to welcoming you soon. Join us to celebrate Mother’s Day in the park. Offering our a la carte brunch menu on Saturday & Sunday 10am – 3pm & a la carte dinner menu from 5pm. Food was very rich and not much of it for $110 a person. Wine pairing was $60 per person. Service was ok. Bad choice this year for a new years celebration. Amazing food discoveries of paring. We have always had outstanding meals, with attentive servers. Five stars to the exciting tastebud sensations from the chef! When we are feeling the want for a relaxing setting that delights, and meals that do not disappoint... 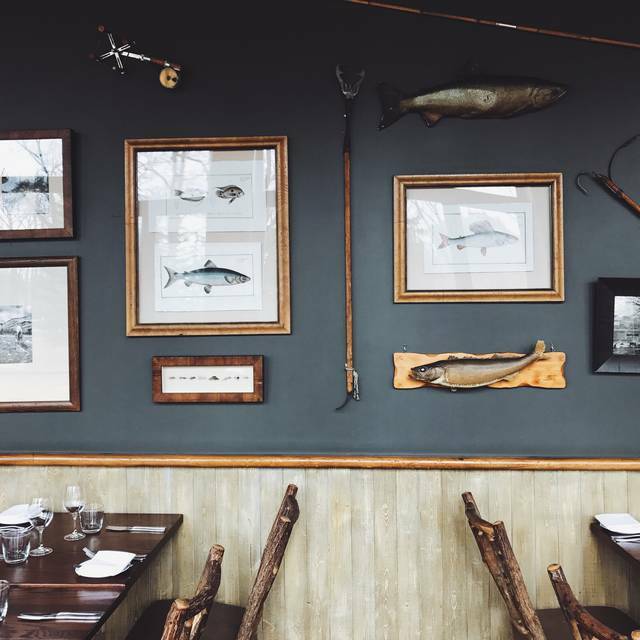 The River Cafe is top of our list. 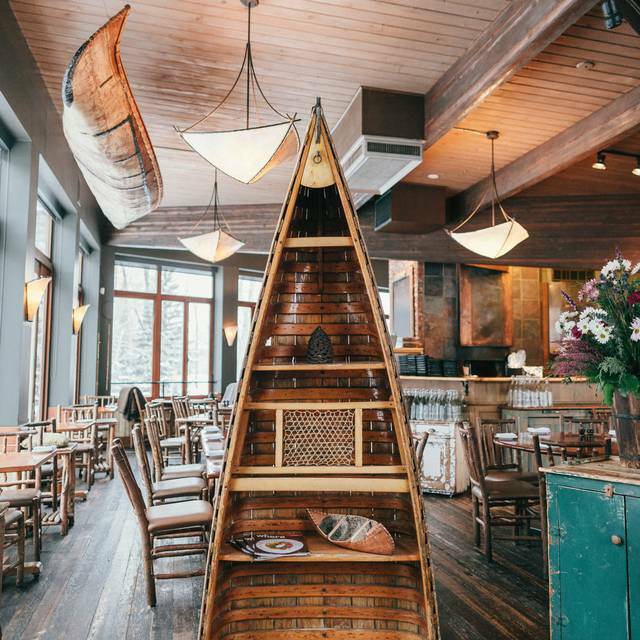 The most amazing place to eat in Calgary! Lovely evening, favourite local restaurant. New Years menu was very well done and service is always top notch. Loved the food. Service was perfect. Would always recommend for an amazing night out. Very nice. Decor has not changed in 25 years. Needs a little tlc. Had tasting menu with wine pairings. Chaine Des Rotisseurs and Mondiel members. and attentive! It was a lovely walk over with the festive lights for the Christmas season. I would not recommend River Cafe at this point. We have had very good experiences over the years, however, our last visit (with family from NYC) was disappointing. The food was ok but not matching the high price point. For example, my egg plant dish was undercooked and even though my daughter had asked for a replacement for brussel sprouts, she got brussel sprouts. The service seemed rushed and hectic even though the restaurant wasn't even full. So, hopefully after the renovation the overall experience can be raised to the previous level. Our last visit before this was in the summer of 2017 to rave reviews! goose was not the best , was expecting something more delicious . Price are a little high for what you get, but was good. Too much fancy names don’t understand some of name on menu so didn’t want to try. The food was very good, the service initially excellent. But as the restaurant became more busy the service became slower. It seemed that with such a busy place there should be more staff to accommodate all of the tables. The waiter was skilled and knowledgeable and presented the food in a professional manner. Through no fault of his own the delay occurred . Delicious, creative inspired! Service was excellent and knowledgeable. Ocotopus was full of flavors and textures that made music in my mouth. DH has the squash soup and it was rich and so full of flavor. Way beyond his expectations. Both tried the goose - yum! Again a brilliant combination of flavors and textures and beautiful in its presentation. Dessert was no different - as delicious as it was beautiful. There is reason River Cafe has been a go to place all these years. 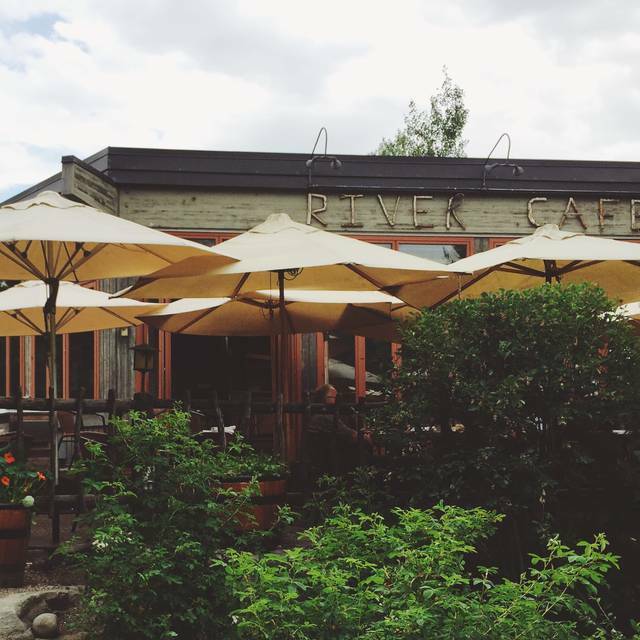 Thanks for doing Calgary proud RiverCafe! It was cold sitting by door (during winter season) and noisy. Seemed to wait long time for ordering. Great food and great atmosphere! Pleasantly surprised by the brunch pricing. A dining experience. Horrible meal. Spoiled oysters in a baked dish made us sick. The rest of the meal was below average. They have list their way it were just focusing on the large groups. We will not be back. River Cafe delivered yet again an awesome Christmas lunch experience. River Cafe's ambiance and decor were perfect for a Christmas get-together - a beautiful peaceful location in the heart of the city. From the first hello until we left, the service from everyone was stellar. Food was tasty and very creatively presented, especially dessert. Went here for a business/holiday lunch. Excellent service allowed us to have appetizers for the first hour while we talked business, then eat when business was concluded. As someone who tries to eat healthfully, I appreciate the menu choices. The cheese was a wonderful indulgence, and loved the Alberta and BC products!! Me and my boyfriend came here for brunch, the environment was very nice and clean, and the staffs were friendly. Food was delicious, we shared the mushroom tart and Turkey pot pie. The reason I gave 4 stars because I found the Turkey pot pie was a bit salty but it was still very good. If I was only having the mushroom tart, I would give it 5 stars for sure. After having the first bite of the mushroom tart, I know this place is gonna be one of my favorite spot for brunch and definitely will come back. And now I am interested in trying their dinner. Chef’s Tasting Menu was wonderful. Very good service. A little noisy due to a large group sitting nearby, and a little chilly being seated near the windows in the winter. The room is beautiful. Mixture of rustic and mountain/river feel. Fantastic staff and superb food quality. 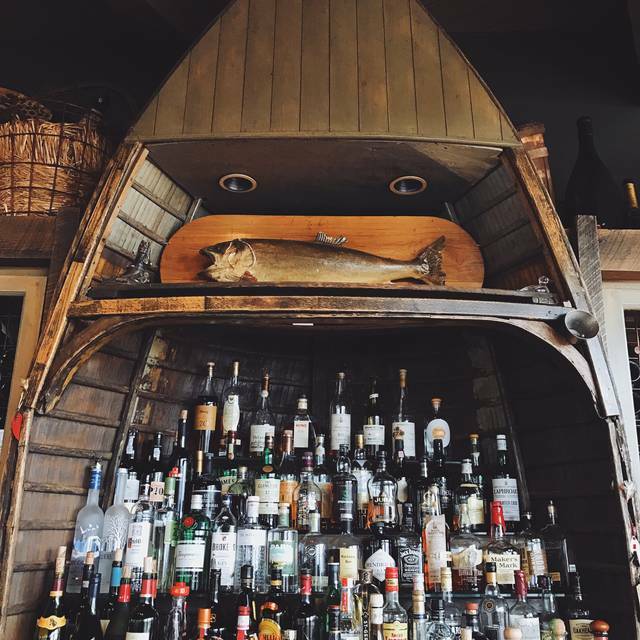 The River Cafe was a great spot for a date night. We ordered the Chef's Tasting Menu and everything was delicious. The food and atmosphere was worth it. 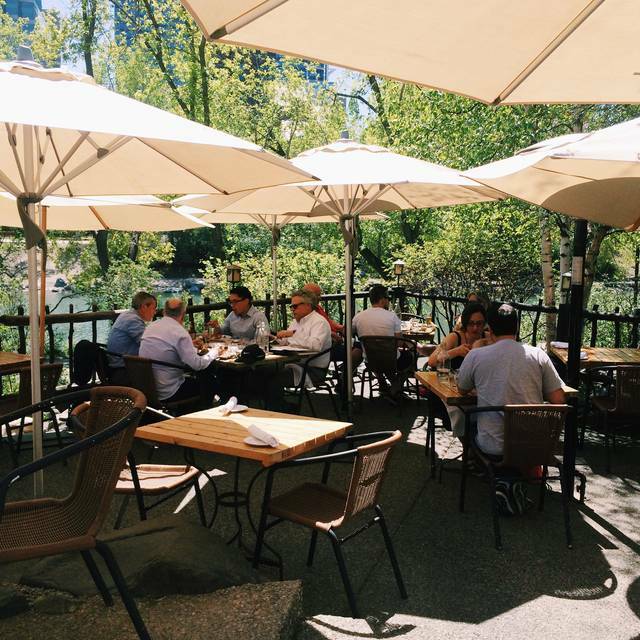 I would definitely recommend the River Cafe to friends and family. As always the unique venue is really the draw: place the restaurant anywhere in Calgary except Prince Island, and I'm not sure it would remain in business more than a month. We had a late guest showing up 20 minutes after our 6 pm reservation. It took another 10 minutes for staff to offer drinks? Why not just offer before his arrival? Then drink refills seemed slow. Eventually, orders were taken. I was assured Octopus would be tender. It was rubbery, as expected in Alberta: I wondered why it was on the menu??? Pork was OK, but came with an unbalanced accompaniment of Red Fife Wheat, almost making it a breakfast cereal! I guess chef was trying to rid the kitchen of the dry, chewy stuff, but more Okanagan Pear and parsnips would have been appreciated! In a final note: I specifically asked for a QUIET table when making the reservation, and was assured that two tables were set off for just such occasions. We were seated in the middle of the restaurant, in the LOUDEST location!!?? Love, love the setting & decor..the snow outside made the ambiance even better! The food was delicious as always. Our server was very friendly, seemed a bit service 'stretched' as he was also trying to manage a large group seating as well as individual tables. Best eggs Benedict we've ever had. The restaurant was great and the food was presented very well. I personally hated the coffee, but the waitress was very polite and offered to bring me something different. I would probably not go there again because the food was not suitable for my taste, but it might be just my opinion. I honestly wish I liked the food better, because everything else was so wonderful. We were so impressed. Was our first time here and we will be back again to try dinner menu. Was a great date lunch with my girlfriend. Service was really good, such as the food and ambience. Pumpkins pudding is kind of too sweet for me. But the scenic view outside the window is really beautiful. Perfect cozy breakfast spot. Not too loud and not too busy! 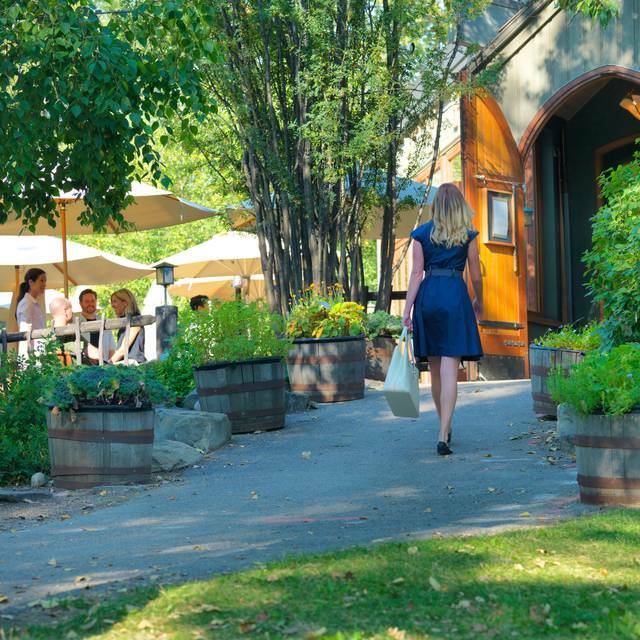 Best dining experience in Calgary. Our waiter Mike was exceptional. Very attentive and did not try up selling us booze after we were done our meal. Came here to celebrate a birthday. The waiter and rest of staff were great as well as the ambiance. We ordered the bison tar tar, squash soup, goose main, and steak main dishes. I highly recommend the bison tar tar, squash soup, and goose main dish as these were delicious. I forget what type of beef steak they were serving tonight but it was a disappointment. The meat was extremely chewy and the quality wasn't there despite being cooked to a nice medium rare. 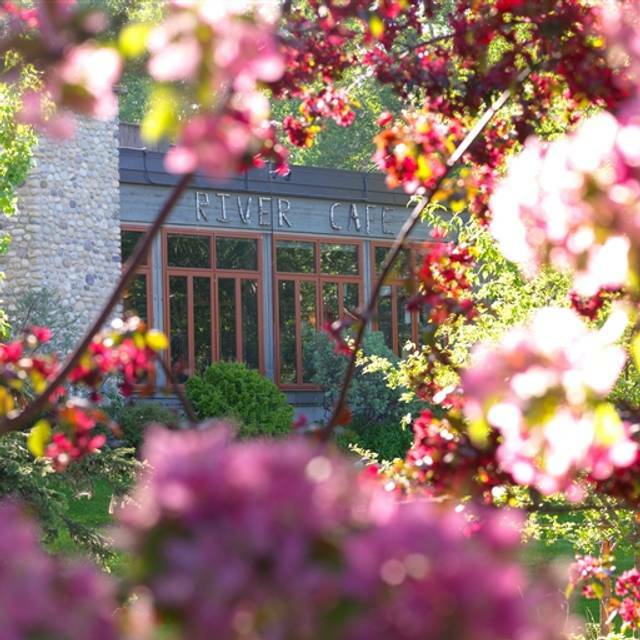 We have dined at the river cafe many times. This last visit was very disappointing. Our server was never around. Servers from other tables helped us more than she did we ordered 3 bone in spare ribs. We were told they were out of bone in but could serve us spare ribs without bones. I personally had the tenderloin and it was good. My friend Wayne ate his spare rib even though it was quite fatty. My wife and Judy could not eat their spare ribs as they were just to fatty. The river cafe did comp us 2 of the rib meals. Thank you for that. This was Judy's first time at your restaurant and she was polite about what she thought but you could tell the way she ate that she was very disappointed after all the bragging we had done about the River Cafe. At this point I am not sure if I will dine at your facility again. It bothers me to say these things but I was very disappointed compared to all the other great meals and evenings that we have spent in the River Cafe. The food was fantastic, service and ambiance were exceptional. Although they offered homemade rice crisps as an alternative it would be great if some sort of GF bread option was offered with brunch.